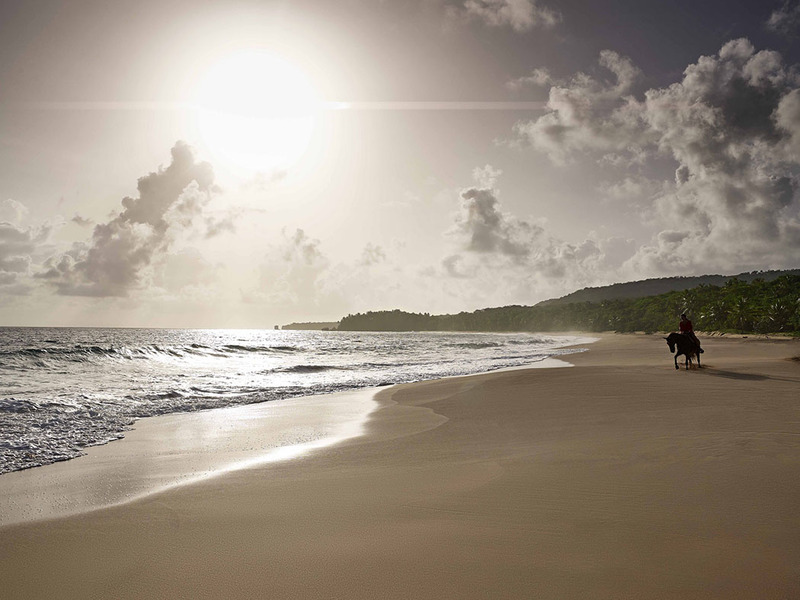 At Luxury Travel Diary we don’t think life gets much better than an Aman Hotel and Resort and the latest addition to their portfolio is the new Amanera Aman hotel in the Dominican Republic. Since writing this original article I have released more photos of Amanera in my new article entitled picture review of Amanera. 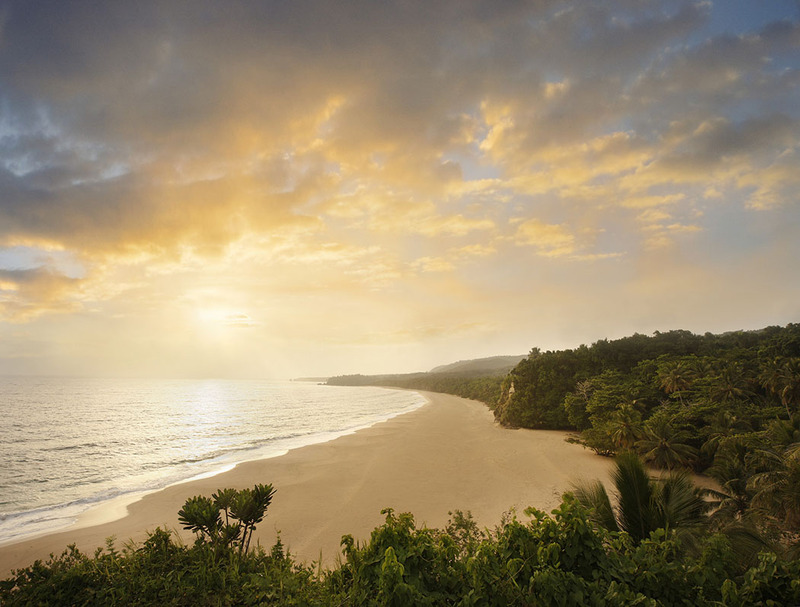 Scheduled to debut during the fourth quarter of 2015, Amanera is located on a sublime clifftop overlooking the crescent-shaped Playa Grande beach, Amanera is surrounded by verdant jungle and framed by the island’s dramatic Cordillera Septentrional mountain range. 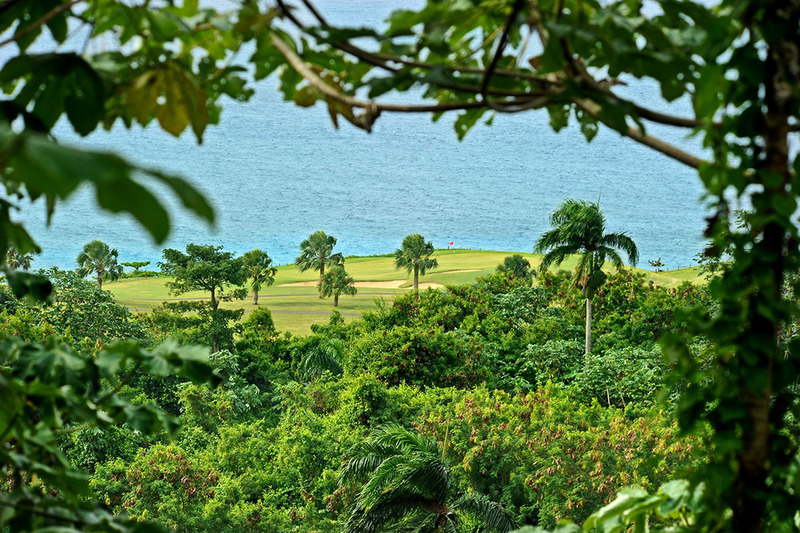 The resort will become the first golf-integrated Aman, sited alongside the undulating fairways and challenging greens of the lauded Playa Grande Golf Course, a track distinguished by having the highest number of oceanside holes in the Western hemisphere. Water is omnipresent and intrinsic in the design of Amanera, which draws its name from the Sanskrit-derived word for ‘peace’ and era, the word for ‘water’ in Taíno, historically spoken by the indigenous people of the Caribbean. 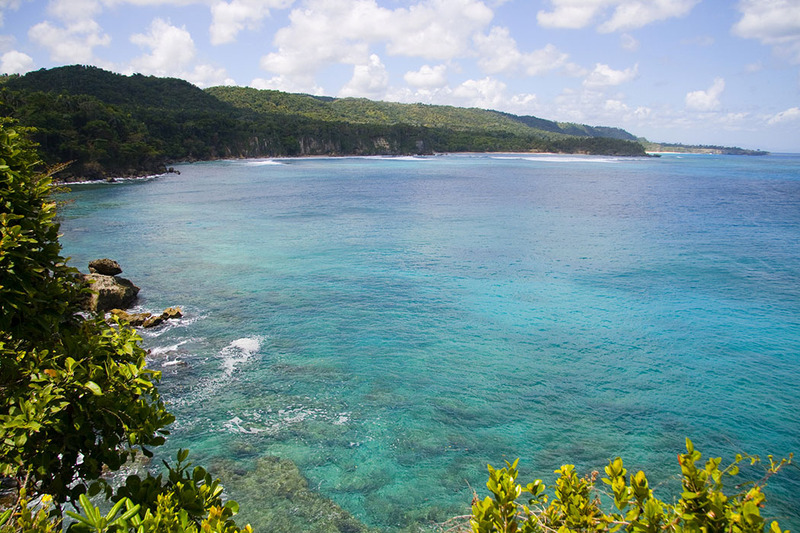 The resort is situated on 2,000 acres of virtually untouched land comprised of verdant peaks and lush jungle with centuries-old trees and royal palms stretching across nearly seven miles of continuous Atlantic seacoast on Hispaniola’s northern shore. The surrounding region, meanwhile, is notable for being both pristine and sparsely populated, offering a variety of scenery that includes starkly beautiful desert areas, dramatic waterfalls and sleepy towns. The resort, designed by John Heah, sits atop 60-foot cliffs and is set between the beach and golf course amongst landscaped gardens. It offers extensive dining, spa and recreational facilities, and 25 Casitas each demonstrating a raw, organic design that complement the natural setting. Capturing the relaxed essence of the Caribbean with a contemporary flair, each Casita offers beautifully handcrafted living spaces which echo the warmth of the country itself. Natural materials are part of an aesthetic ripe with detail: stone from local quarries, indigenous handmade Aguayo tiles and Dominican art and artifacts. The Casitas all have flat biodiverse roofs that cultivate green gardens, cool living spaces and further blur the lines between dwellings and jungle. The Casitas appear to be very much part of the landscape, something that has come to define an Aman. Every aspect of Amanera, including the Casitas, has been designed to maximise the property’s extraordinary views. Each of the one-bedroomed Casitas enjoys unobstructed ocean vistas from an expansive terrace, outdoor seating and lounging areas and through floor-to-ceiling windows from the spacious, high-ceilinged living and sleeping areas. Every Casita is accessed via a winding pathway through a private garden and 13 Casitas feature their own 10-metre private swimming pools. The two-bedroomed ‘Bay View Casa’ enjoys the resort’s finest cliff-side position with panoramic views of the ocean and Playa Grande beach. A 20-metre infinity swimming pool stretches across an extensive terrace. Magnificent overhanging eaves shade outdoor dining and lounging areas. Shallow steps lead up to the heart of the Casa, the spectacular glass-walled living and dining room. Offering seamless indoor/outdoor living, this central area is open on one side to the ocean and pool, and on the other to a lush private garden, its entrance flanked by twin reflection pools. The bedrooms are situated on either side of the central living area, both offering the same exceptional ocean views and spacious en-suite bathrooms. At the heart of the resort lies ‘Casa Grande’ constructed in such a way that it appears to ‘float’ above a three-tiered water feature and offers sweeping ocean, golf course and jungle views atevery turn. In the centre is the lofty open-air bar and lounge with inviting seating nooks. These overlook infinity-edge waterways which merge with the horizon. A discreet reception, serene library, and cigar bar all branch off the Casa Grande, which also leads to Amanera’s signature restaurant with indoor and outdoor dining areas. Beyond the restaurant, the curved swimming pool cascades down and around the dining areas with daybeds fringing the water’s edge. A separate private dining pavilion is located to one side of the Casa Grande for more intimate functions and events. The resort’s informal beach club, the Club de Playa, is tucked into a sandy cove on Playa Grande beach, the island’s most beautiful, prized for its broad golden sands and clear, azure seas. Here guests can enjoy casual feet-in-the-sand dining, relax in a hammock under the coconut palms or take advantage of water sports equipment provided. Open throughout the day, the Club de Playa also offers a children’s club nearby providing creative activities and outdoor adventure. Spread over 370 acres, the world-class Playa Grande Golf Course was originally designed by celebrated architect Robert Trent Jones, Sr. His son, Rees Jones, an acclaimed designer in his own right and known as the Open Doctor, for his role in sprucing up many recent U.S Open venues, has gloriously revived his father’s legacy with a full renovation of the course. 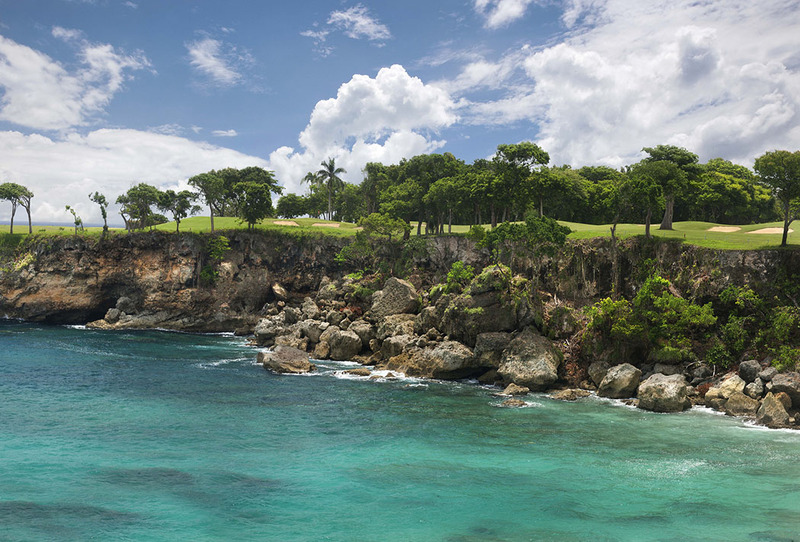 With 10 holes playing directly on ocean cliffs, it stands as the course with the most holes on the ocean in the Western hemisphere. This 7,085-yard course stretches along the coastline and the multiple bays formed by rugged cliffs make each hole – and its views – unique. The magnificent canvas of towering cliffs, panoramic mountain-to-sea views and windswept plateaus next to the undulating coastline, will soon be joined by a new Aman Clubhouse. The Clubhouse will include a restaurant open for breakfast, lunch and dinner, as well as the course’s ‘19th’ hole for post-golf refreshments. Other facilities will include a pro shop, fitness centre, tennis courts and an Aman Spa. Designed as a tranquil sanctuary, the Aman Spa will offer both single and double treatment rooms and will adopt a holistic approach to wellness through relaxation and movement. The extensive treatment menu will include massages, facials, scrubs and wraps, as well as a number of signature Spa Journeys tailored to individual needs. These will incorporate the Aman range of chemical-free products with a nod to traditional energy-based shamanic healing. The resort’s fitness centre will offer a full range of cardiovascular and strength equipment and a personal training studio. Additional wellness facilities will include a steam room, sauna and relaxation room. The Dominican Republic’s bucolic north coast, playfully known as the ‘Green Coast’ owing to its lush, wildly varied landscape and its exuberant mix of local culture and history, is home to stretches of virgin rainforest and raw coastline that remain relatively uncrowded and unspoiled—awaiting exploration by a new generation of pioneers. Read about my trip to the utterly romantic Aman Canal Grande in Venice which I visited earlier this year. Amanera also features in my top 5 best luxury hotels in the Caribbean.